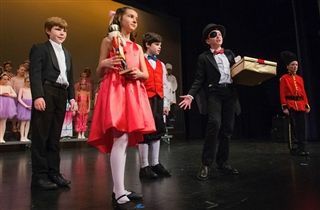 On December 20, the Choral Theatre Players put on a performance of the holiday favorite The Nutcracker for the Lower School. The performance was a wonderfully entertaining display of dancing, singing, and costumes. Congratulations to the third and fourth grade performers and to director Jeannine Ary on a great show.